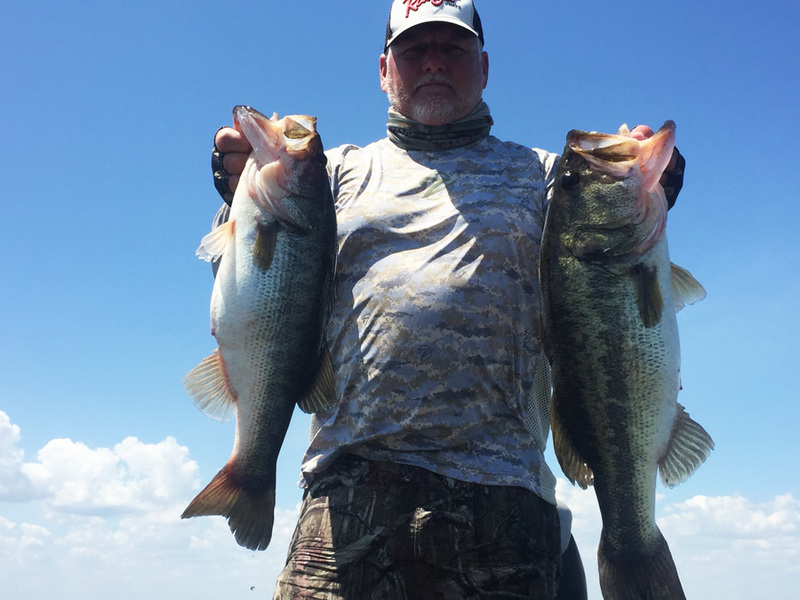 This week on Lake Okeechobee the fishing has been fantastic, we have had some stable weather and you can go anywhere to catch a fish. The winds have been the South to SouthEast. The last week and The water temp has been in the high 70’s. The water clarity is good throughout the lake. The best bait is still topwater and a Senko fishing it real slow. I have also caught a lot of fish on shiners. The water is getting a little low now so you have to watch where you are going. You can check the water level of Lake Okeechobee at www.okeechoeejust4bass.com. Here is a picture of a couple of fish that I caught this week.